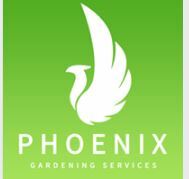 Phoenix Gardeners - Driveways/Patios/Paths, Fencing/Gates, Landscaper based in Longlevens, Gloucestershire. Hi my name is Mark, I am 37 years of age and love working outdoors in the garden. My interest in gardening was passed on to me by my late Grandma and by the age of 4, I could name all the plants in our garden by both their common and Latin names. I maintained a patch on my parents allotment from the age of 8, until I got my own at 18 so my passion really started with organic vegetable growing. I then went on to maintain the private ground of a multimillionaire, until I had enough confidence to set up my own gardening business, which I have now been running for over 6 years. My aim is to do a good job for an honest price!